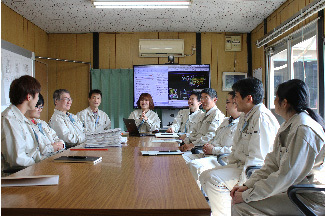 All of Kyowa FineTech’s processes, from our advanced technical capabilities to our design, machining, can manufacturing, assembly, inspection, test operation, improvement, and maintenance, are made possible by our experienced technicians. We use our unique component development capabilities, utilizing 3D CAD, to handle everything from design to development. These include not only mechanical design, but also the design of control panels and software. 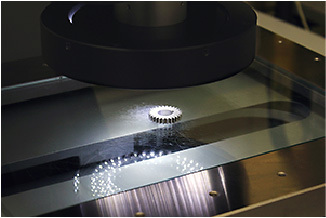 We provide comprehensive engineering covering everything from devices to production lines. 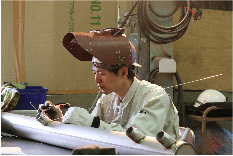 We manufacture cans (welding, bending, etc.) and perform mechanical processing (using lathes, mills, punch presses, etc. ), as well as handling wiring and pipe fitting, assembly, and test operation. We are proud not only of the precision and quality of each of our products, but also the degree of perfection of our overall systems. Veteran technicians carry out the machining, can manufacturing, assembly, inspection, and test operation work performed in our unified system.